Due to sold-out demand, Relax Waterfront Residence is expanding. January 2017 update: new photos in the Photo Gallery! 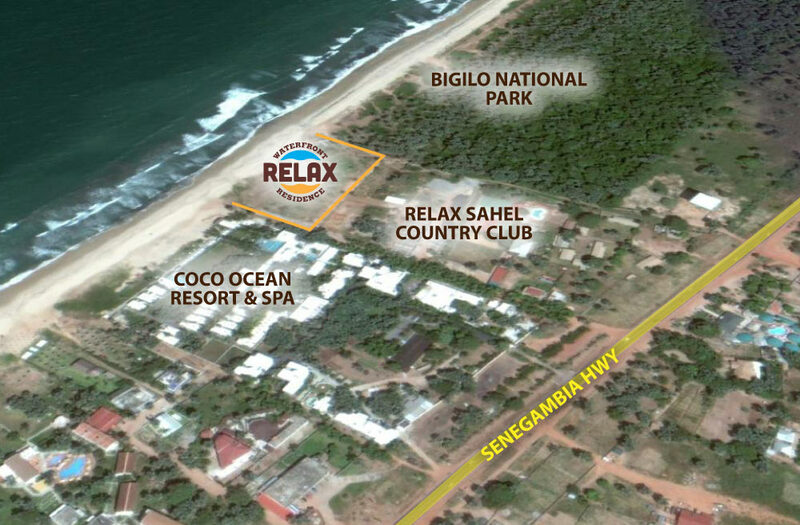 The Relax Waterfront project is a new beachfront residence development along Bijilo Beach, neighboring the renowned Coco Ocean hotel on one side, Bijilo Forest Park on other side and Relax Sahel Country Club on another. Every unit of this exclusive luxury community faces a clear view of the beautiful Atlantic ocean and beach. Elegant gardens with mature trees and a courtyard with multilevel swimming pools and a large deck ties this one-of-a-kind development together. 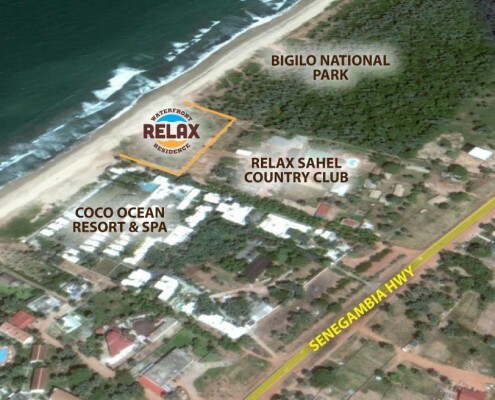 Beachfront along Bijilo Beach, neighboring the renowned Coco Ocean hotel on one side, Bijilo Forest Park on the other side and Relax Sahel Country Club on another. A management team made up of management and maintenance staff, security guards, gardeners, and swimming pool attendants will be operating the residence community constantly. Located on the West Coast of Africa, The Gambia is known for its peace and stability. This country is called “the smiling coast of Africa” for the simple reason that its people are amongst the friendliest one will ever meet during a lifetime. Crime in The Gambia is practically unheard of. RELAX WATERFRONT gives you the opportunity to buy one of the units and place it in the rental pool. The pool is managed by a professional team on site ensuring that your property retains its value. The residence community will be operated by a 24/7 management team made up of management and maintenance staff, security guards, gardeners, and swimming pool attendants. Other standard features include a stand-by generator, back-up water tanks with high capacity booster pumps, and fully paved parking areas for homeowners and visitors. For another waterfront development by Construct Ltd, please visit fajarawaterfront.com.